Now, having this concept as your business will surely be quite profitable. If you try to check and observe the small businesses that are thriving around the school areas, quite a number of fishball stalls are present and at the end of the day, their stuff is all sold out. This means that the demand for these chows is quite high and is relatively increasing. Its target market is fairly huge and is growing. This clearly tells us that the need is still there and as a wise businessman, you need to strike while the iron is still hot. There is no doubt that if you engage in products like these, the system is not complicated nor the products are hard to sell and maintain. The competitions out there are also stiff but plan it well to get the best location and the best personnel to man it. Emphasize great customer service and product quality. With all these in place, the business will stand out among the rest. 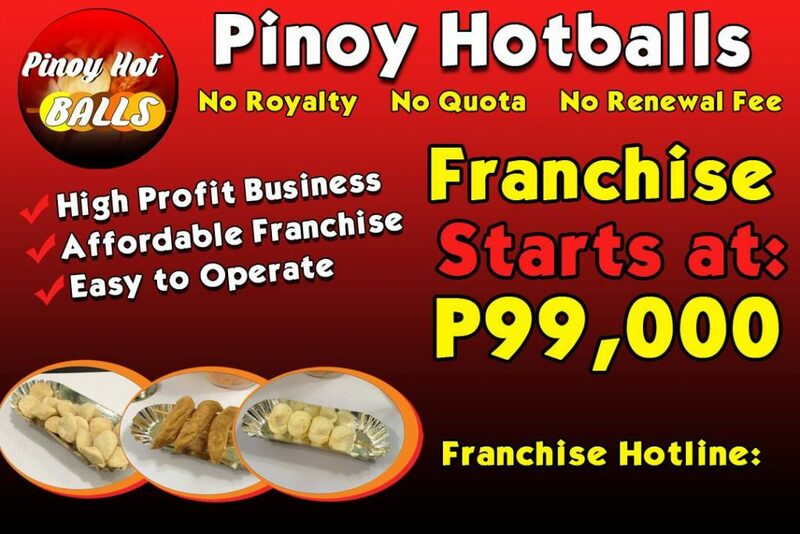 Go and look for the best fishball franchise and start the business rolling. 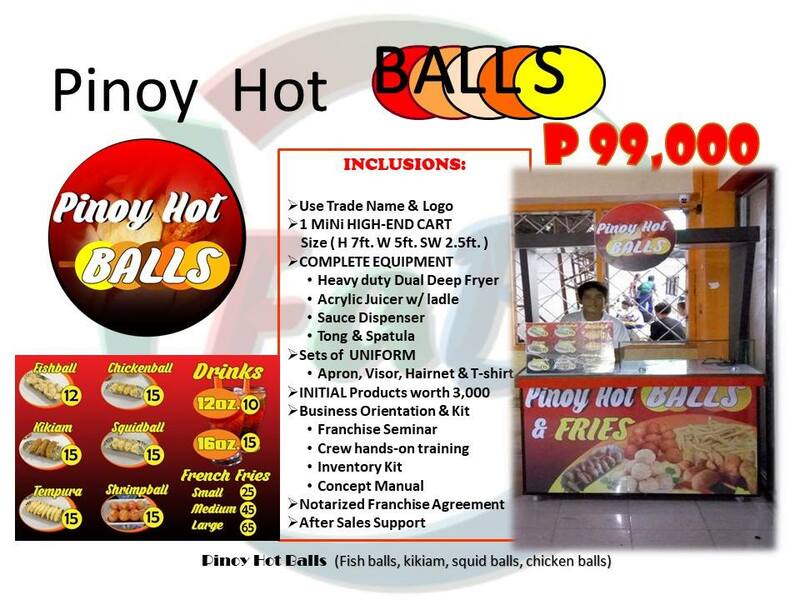 Our Kikiam, Squidballs and Fishballs Franchise is Pinoy Hot Balls! 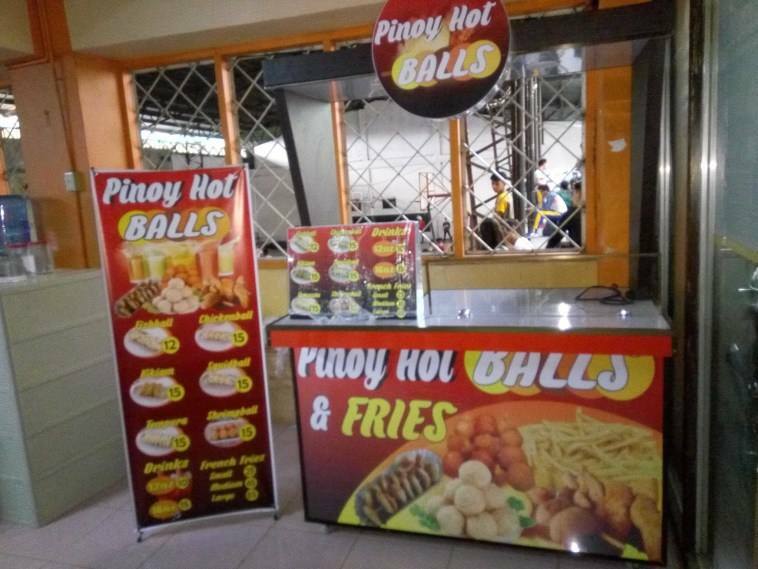 Street food to Filipinos brings a different eating experience. 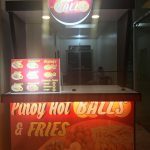 If you check the busy streets of almost all key cities in the country, there is always the presence of a fishball stand. This comes along with other tasty fried stuff such as kikiam and squid balls. These three ‘”balls” then becomes inseparable together in a cart. These treats were interestingly recreated from the traditional Chinese delicacy called “Ngo Hiang” which is made of mixed pork and seafood rolled inside a bean curd skin. 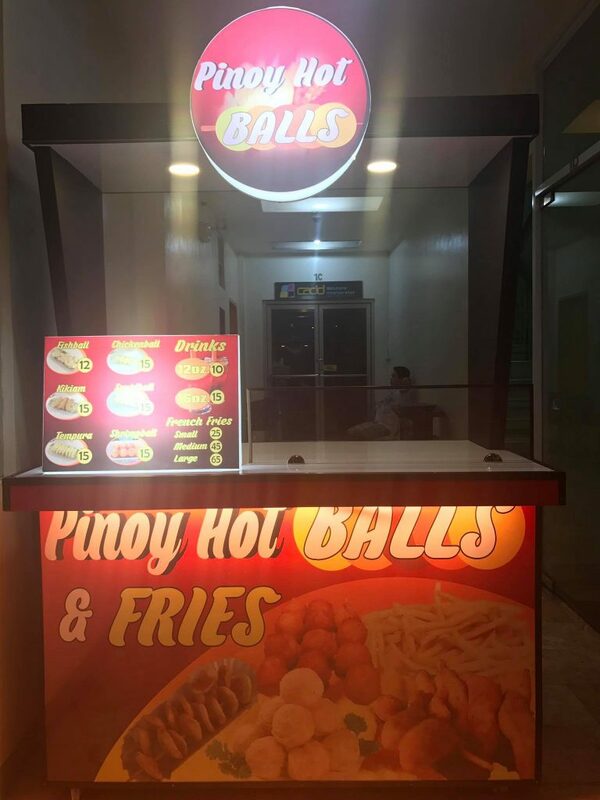 Usually, to get the taste of these ‘balls’, it is cooked deep fried and served with chilli sauce or a house-special sweet sauce. 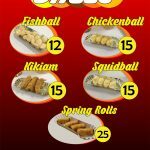 Fascinatingly, the ones sold on the streets usually have three interesting dips that go with either, the fishball, the kikiam or the squid balls. There is a choice of spicy vinegar, sweet brown gravy and sweet and spicy brown gravy. 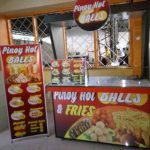 There is not much difference between these three street food except for the inside stuff. 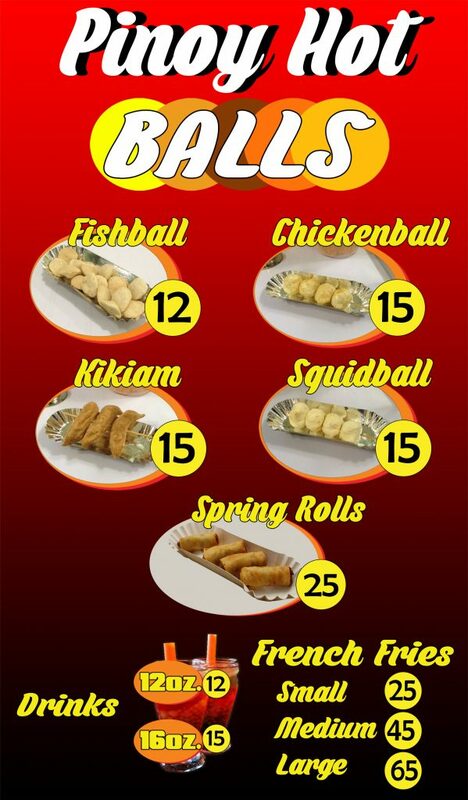 As their names imply, fish balls are made of ground fish meat and vegetables, Kikiam is made of ground pork and vegetable and squid ball is, of course, ground squid meat also with vegetable in it. All of these are wrapped in a bean curd skin so it can be frozen and preserved for days for easy deep frying. This simple treat can be a great snack treat to children and adults as well.